In the Indian automobiles market, many two-wheeler companies are offering super sports bike to the bike lovers. They are manufacturing more powerful bikes for the youth. The new two-wheeler bikes are loaded with new and advanced safety features for a safer and amazing ride. 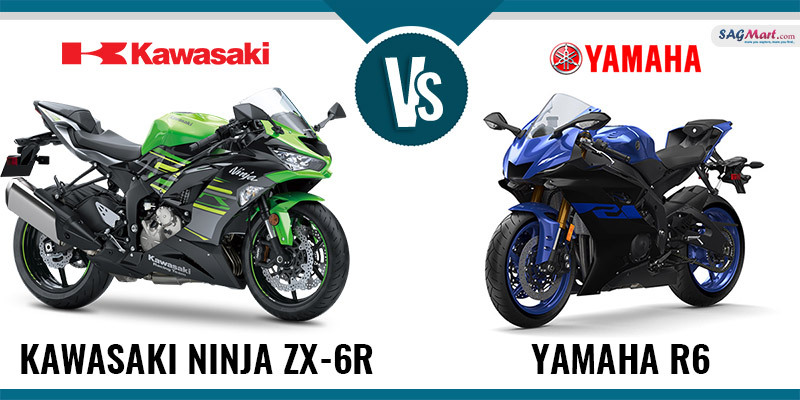 In this discussion, we will let you know the upcoming sports bikes from the likes of Yamaha & Kawasaki as both of them will lock the horns on under 1-liter class sports bike in India. Yamaha motorcycle is planning to reveal the R6 in the Indian market while the international bike maker Kawasaki has already launched the Ninja ZX-6R in India with new features. The Kawasaki Ninja ZX-6R is powered with 636cc having sixteen valves per cylinder, liquid cooled engine. The company also offers super in-line four-cylinder, which help to generate more power and torque. For the safe siding, the company provides a wet multi-disc, manual clutch with an easy 6-speed gearbox While the Yamaha R6 is loaded with 599cc engine and 4-stroke, forward-inclined parallel 4-cylinder, and DOHC technology. Yamaha R6 has offered a smooth and easily shiftable wet multiple-disc coil Spring and 6-speed gearbox. Kawasaki has introduced a new feature with super-sports look in the Ninja ZX-6R bike. The company also offers a split seat for the comfort and long rides, high stainless steel pre-exhaust and LED headlights, etc in the bike. The Yamaha R6 has been designed for the racing tracks. Yamaha engineers have reduced the bike weight, giving it more power of 117 bhp, torque 61.7 NM and better handling. The Yamaha R6 offers a 17-liter fuel tank and alloy wheels and split seat for comfortable sitting. To ensure a safe and comfortable ride, Kawasaki has introduced lightweight alloy wheels, which give safety ride. The Ninja ZX-6R offers high-performance braking system as the bike uses dual semi-floating 310mm petal disc along with ABS technology at the front. The Kawasaki Ninja ZX-6R is loaded Link type, bottom-link uni-trak with gas-charged shock suspension at the rear. On the other end, the Yamaha R6 is incorporated with five-spoke wheels. The motorcycle gives a dynamic balancing power as it is loaded with swingarm, monoshock racing suspension. The braking duties are managed by two massive hydraulic dual disc, 320mm at the front, with ABS technology.